A couple of days ago I head the unmistakable call of the Yellow-tailed black Cockatoo (Calyptorhynchus funereus). These magnificent birds are one of the largest of the cockatoo family, and are relatively widespread in eastern Australia. They are also occasional visitors to the Rock Farm. Their diet is varied, and available from a range of habitats. Whilst they mostly eat native seeds, especially She-Oaks (Casuarina), the also are partial to pine cones, hence why they made a temporary stay in our pine trees. They also enjoy larvae of wood-boring beetles, using their strong beak to peel bark and gouge into the tree to extract the tunneling grubs. 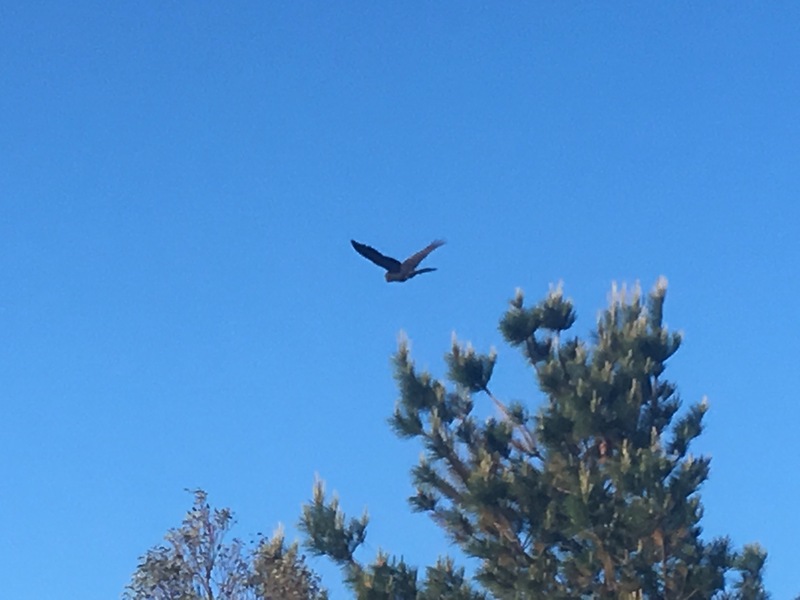 This strong beak, and tendency to rip and shred trees is the despair of many homeowners, as they frequently attack pool solar heating piping, electrical conduit and a whole manner of household fittings. Whilst these birds are relatively common and not under threat, we have taken steps to assist in the survival of one of their cousins, the Glossy Black Cockatoo (Calyptorhynchus lathami). The Glossy Black Cockatoo is the smallest member of the black cockatoo family. Unlike it’s larger cousin, the Glossy Black prefers to feed on the seeds of mature She-Oak trees, and very little else. 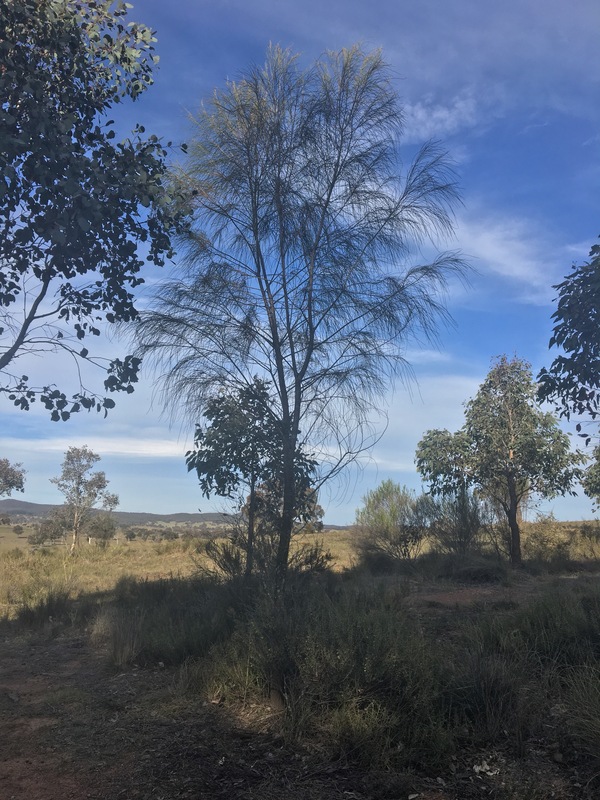 Most people associate She-Oaks with rivers, where these majestic trees line creeks and rivers in eastern Australia, but there are many species that favour more hardy areas such as the Desert She-Oak (allocasuarina decaisneana) from central Australia. There is even one species which grows on the Rock Farm – The Drooping She-Oak (allocasuarina verticillata). This nitrogen fixing tree likes growing on the rocky slopes of our home. We have about half a dozen young trees that we are coaxing and encouraging as best we can. We have also planted several of these trees in our bottom paddock through the Greening Australia Whole of Paddock Rehabilitation program. Whilst we haven’t seen any Glossy Black Cockatoos on the Rock Farm yet, I hope that in the future our stand of Drooping She-Oaks help to extend their habitat.